Car Searching Online Hamilton – Budds’ BMW Hamilton. 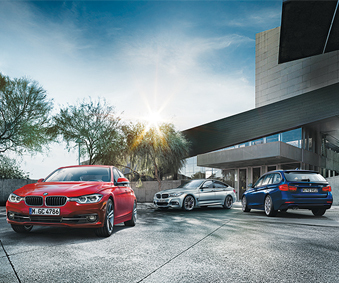 Car searching online in Hamilton is made easy with the online inventory and services at Budds’ BMW Hamilton. Searching for vehicles online should never be a daunting task. It should be pleasurable, convenient, and you should be able to track down the vehicle you are wanting fairly easy. A good vehicle dealership will have a website that is very informative, giving the customer a plethora of information about new and pre-owned vehicles, and about other services they provide like spa and maintenance, auto parts, and the history of the company. Budds’ BMW Hamilton has a website that includes all of this information, and it is very easy to navigate so the customer is never stuck trying to figure out where to go next. Car searching online Hamilton should be convenient, or else why would you bother with it when you can physically come into a dealership and speak face to face with someone. Some people prefer to shop from the comfort of their own home where they can get a bunch of information in one spot, instead of having to go into numerous dealerships and be approached by salespeople. Budds’ BMW Hamilton has provided a way for our valued customers to look for premium BMW vehicles while they are at home, or out and about with their mobile devices. When you reach our online website to search for a premium quality BMW vehicle, you will have many options of search criteria at your disposal. If you already have the vehicle in mind you are wanting, you won’t have much need for the different search criteria. However, if you are just starting your car searching online in Hamilton, being able to filter your search for the specific features you are wanting can speed up the process significantly. It doesn’t matter if you are looking for new or pre-owned vehicles, you are provided with filter options like trim, drivetrain, color, price, transmission, doors, year and make to name a few. These options can help you narrow down the field when you are car searching online in Hamilton, and only show the vehicles that fit your criteria. When car searching online in Hamilton, it is important to make sure that the company you purchase your vehicle from has a quality service department for your vehicle in the future. Budds’ BMW Hamilton is dedicated to providing our valued customers with the highest quality customer service from the moment you step foot into the dealership, and that includes the service we perform on your vehicle. Our online website has information about our service department and how we will be ready for you when your BMW vehicle needs servicing. If you are in the Hamilton area and you are car searching online in Hamilton, we recommend that you check out our online inventory at Budds’ BMW Hamilton. Our inventory is huge and you will find an exceptional driving machine that will suit your needs. You can schedule a test drive on our website, or you can give us a call to set up an appointment today!